Ceramics 1 is an elective course for students in grades 11-12 who have taken Art 1 and another Art elective. In this course we work with clay and various methods of clay construction: slab building, coil building, pinch pots, wheel throwing and glazing. Projects are assigned so that students may consider both form (aesthetic appeal) and function (the piece's purpose). In this way it is a continuation of the study of the Elements of Art and Principles of Design. Ceramics students look to the past and to the work of today's artists to observe how techniques we learn in class have been used and continue to be used in clay. Ceramics 1 has focused mainly on hand-building techniques this year, with some wheel work thrown in as well. Pardon the pun. Learn a variety of clay building techniques and consider their use as a 3D solution to questions posed with each project. Learn a variety of glaze applications and techniques. Each student will create a body of 3D work, which addresses the specific guidelines within the Massachusetts Visual Art Curriculum Frameworks. Some projects will address singular objectives, while others will tackle a combination of objectives. Students will learn use, care and clean up of all tools and materials associated with each technique used. Students will learn how to make a pinch pot, and identify the benefits of using pinch pots to build ceramic pieces. In slab building students will use both the slab roller and rolling pins to create slabs of clay which will be joined together to create 3D objects. In coil building students will learn how to make coils of clay and how to join them to construct objects. Joinery methods such as score and slip will be explored. Students will learn how to make basic functional pieces (bowls, plates, etc.) using the potter’s wheel. Students will learn use, care and clean up of all tools and materials associated with wheel-throwing. 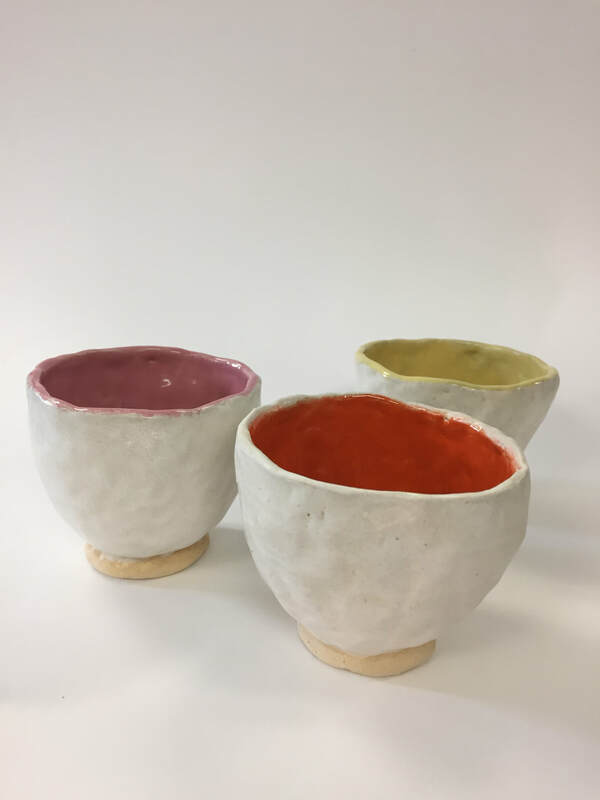 Students will identify different types of glazes such as: gloss glaze, underglaze, crystal glaze, pottery glaze and learn how to apply glaze to pottery pieces to enhance the design and functionality. Individual and small group discussions, (critiques) of work in progress will be held on a regular basis. Students will be expected to take part in these discussions and to use proper art vocabulary terms. You will also be expected to reflect upon your work and make adjustments to it as needed.